Isn’t he just one of us? 6 Jesus left and returned to his hometown with his disciples. 2 The next Sabbath he taught in the Jewish meeting place. Many of the people who heard him were amazed and asked, “How can he do all this? Where did he get such wisdom and the power to work these miracles? 3 Isn’t he the carpenter, the son of Mary? Aren’t James, Joseph, Judas, and Simon his brothers? Don’t his sisters still live here in our town?” The people were very unhappy because of what he was doing. 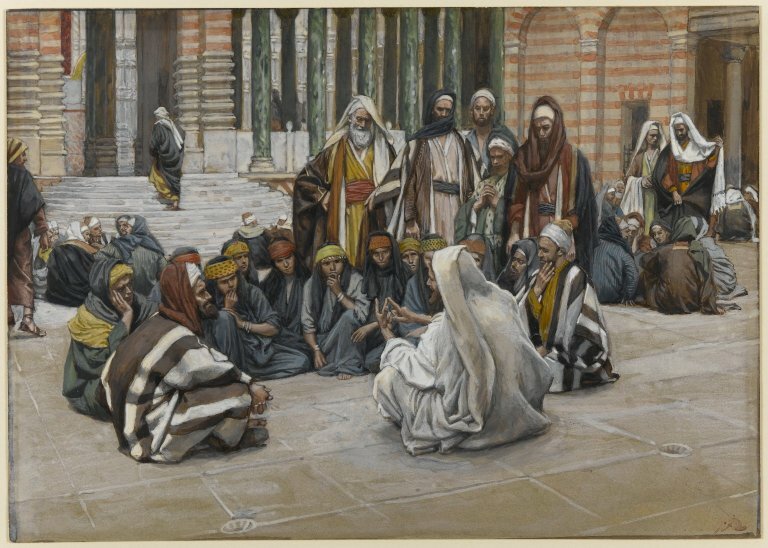 4 But Jesus said, “Prophets are honored by everyone, except the people of their hometown and their relatives and their own family.” 5 Jesus could not work any miracles there, except to heal a few sick people by placing his hands on them. 6 He was surprised that the people did not have any faith. 12 The apostles left and started telling everyone to turn to God. 13 They forced out many demons and healed a lot of sick people by putting olive oil on them.